Armpit or underarm pain is not very common and hence once experienced, you may worry about its cause. Armpit pain can be a result of infection or overexertion. It may be linked to serious health causes such as cancer, shingles, or lymphedema or it may be just a result of skin irritation or a pulled muscle. Armpit pain can occur in one or both the armpits. The pain under armpits can make daily activities like combing your hair or dressing up difficult. In this article, we will discuss the causes and treatments related to armpit pain. You can be allergic to the chemicals or ingredients used in these products which can cause itching, rashes, and inflammation. Allergens may also lead to a skin condition known as contact dermatitis. One of the symptoms of such allergies is the pain in the armpit. It is better to stay away from allergens to prevent armpit pain. Common cold or flu accompany body ache. If you have congestion or upper respiratory tract infection, you may experience pain in armpit or underarm. As the infection is treated, you would also feel relieved from armpit pain. If you have a sweat gland infection, you are prone to get lumps. These lumps normally cause pain in the armpit or underarms. Lumps can also cause itchiness, redness or sometimes boils. If you sweat excessively, live in warm or moist conditions, or maintain poor hygiene, then you may suffer from sweat gland infection. Lymph is a fluid with lymphocytes (white blood cells) that help the body to fight infections. Your lymphatic system is an important part of the immune system and contains lymph nodes which are present throughout the body. They are also present in your underarms or armpits. Lymph nodes can swell due to reasons such as microbial infections, common cold, upper respiratory tract infection or measles. A condition called lymphedema can also cause lymph nodes to enlarge. Another condition called lymphadenitis can also lead to swelling of lymph nodes. This condition can occur anywhere in the body including your armpits and can cause pain in the armpits. Heartburn or acid reflux is a condition where your stomach acid travels up the stomach and enters the food pipe. Sometimes heartburn can cause sharp pain in the chest and armpit. Brest cancer is a condition in which cells of different breast tissues become cancerous. It can lead to a lump or swelling in the breast. If cancer affects lymph nodes present in the breast or surrounding regions, the swollen lymph nodes can cause pain in the armpit. Brest cancer can occur both in men and women, but it is rare in men. While lifting or pulling excessive weight, you can damage the chest or upper arm muscles. A strained pectoral muscle can cause pain in the armpit or underarm. You may feel mild or sharp pain depending on the severity of pulled muscles. Such pain subsides with time. A cyst is a filled bag-like structure present in the organ tissues like skin or ovary. Cysts can develop in the armpit and grow because of damp, dark and warm conditions. Such conditions support bacterial growth and cause infection. These cysts can be painful. Although in most cases, proper treatment and hygiene can heal the cysts, you must consult a doctor for correct diagnosis and ensure that they aren’t cancerous. Diabetes leads to a condition called neuropathy in which nerves get damaged. The damaged nerves cause severe pain. If you have diabetes and experience pain in your underarm or armpit, you should check for neuropathy. Proper treatment of diabetes can help reduce further nerve damage and armpit pain. Varicella-zoster virus causes shingles or Herpes Zoster. It causes painful rashes on the skin that usually occur on back, chest or underarm. One of the symptoms of shingles is armpit pain. Many hair follicles grow in your armpits. They are prone to infection, and even a single infected follicle can be painful. An infected follicle can grow into a red, swollen boil. Such infection can be treated easily by maintaining proper personal hygiene. Peripheral artery disease (PAD) is a condition in which the arteries in your legs and arms become narrow. Such narrow arteries reduce the oxygen supply to the surrounding tissues. Oxygen deprived muscles in your arms can cause pain in the underarm. Rheumatoid arthritis is an autoimmune disorder in which your immune system attacks the tissues of joints. One of the joints can be your upperarm joint which can lead, to pain in armpit. If you have rheumatoid arthritis in both the hands you may experience armpit pain in both the arms. Lupus is an autoimmune disease that affects skin, joints or any other body organ. It can affect the lymph nodes and causes armpit pain. Psoriasis is also an autoimmune condition which affects the skin. It may affect your armpits and cause reddish spots under your arms. One of the symptoms may include pain in the armpits. How to Treat Armpit Pain? In the case of a strained muscle, you should give your muscles proper rest until you feel relieved. Once the pain subsides, you can stretch a little to improve blood circulation. You can also give a light massage to the pulled muscles. Massage can improve blood circulation and relieve the pain. If your muscle gets pulled an ice compress can help relieve pain. Ice compress can also help in relieving the pain due to inflammation in the armpits. You can apply an ice pack, or you’re your underarms with cold water. Use a clean cloth to wipe the underarms and be sure to clean the cloth after use to prevent the spread of bacteria. A warm water bath with baking soda can help in relieving armpit pain caused due to infection and inflammation. Baking soda clears the skin whereas warm water helps in reducing the pain. It can also help in relieving the armpit pain due to swollen lymph nodes. Oily and spicy food can make you sweat. The excess sweat can further allow bacterial growth and increase the infection. Therefore, in case of armpit pain, eat fresh vegetables and fruits. Avoid consumption of oily and spicy foods which make you sweat. Keep your armpits clean by properly washing them with soap and warm water to prevent any infection. Try to keep the armpits dry. If you sweat too much, try using baby powder on the underarms after the shower. Keeping your armpits dry and clean can reduce the chances of armpit infections and pain. Avoid use of allergy-causing soap, deodorants, detergents, or clothes. If the cause of armpit pain is pulled muscle, common cold, or bacterial infections, then you just need to take rest and some over the counter medicines. Rest can completely relieve you from the pain in few days. But in all other kinds of symptoms, where the pain in underarm occurs due to swelling, lump, boil or rash, you must consult your general physician. Also if you notice swollen lymph nodes, fever and excessive sweating, difficulty in breathing and swallowing, or drastic weight loss consult your doctor immediately. In some cases, your doctor may ask you to do hematological tests to diagnose the disorder in lymph nodes or the armpit region. In any case, early diagnosis can help treat the conditions in a better way. Madhvi Bhosale is a microbiologist (M.Sc.) and has experience of research in the field of molecular biology of malarial parasite P.falciparum. She has contributed in the research about P. falciparum epigenome. 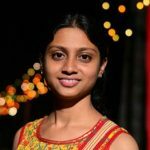 With the background of research about microbial diseases, she aspire to write health related articles which can help the readers to be aware and stay healthy. She also writes biology educational contents and story boards. With her creative mind, she produces a clear and refined audio-visual biology concepts. The sound knowledge of microbiology enables her to contribute significantly in writing all-inclusive health articles.